A dying wish came true for a Masterton mum-of-three to walk down the aisle with her soulmate – thanks to a generous Wairarapa community. 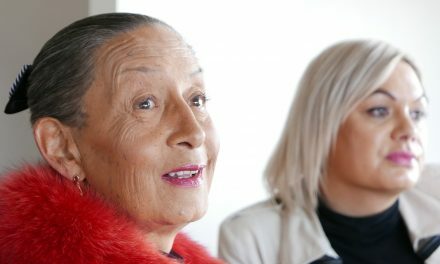 Terri-Lee Waipuka-Governor died on Tuesday afternoon after a six-year battle with cancer. Her whānau and friends, however, were determined to fulfil her dream of marrying long-time partner, Joe Wiremu, before she died. 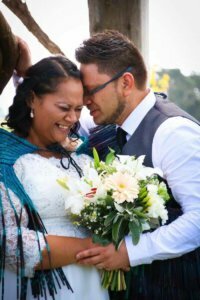 On September 30, only days before saying their last goodbyes, Terri-Lee’s loved ones gathered by her side as she and Joe tied the knot, their big day made real through an outpouring of support from Wairarapa businesses, artists, and neighbours. Earlier this year, doctors gave Terri-Lee just months to live. So a group of family and close friends formed a “wedding planning committee”. Cash-strapped and with time ticking away, the committee reached out to the community for help. 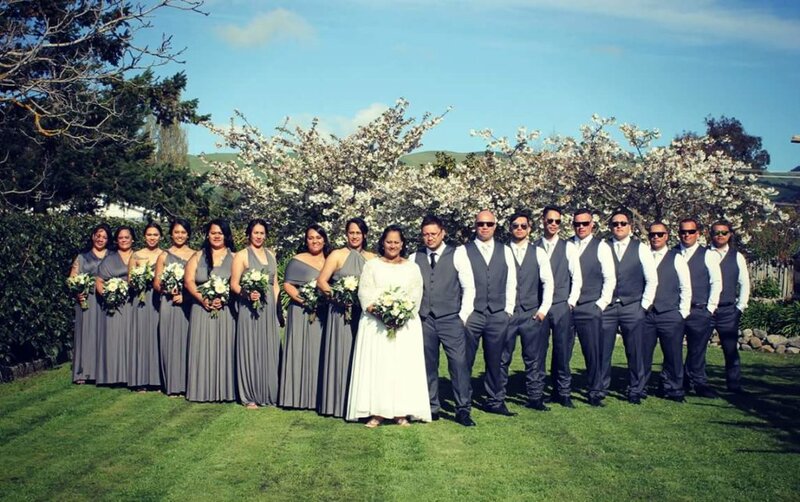 Cousin and “wedding planner” Malo Harris said they were “blown away” by the support they received – which included over $1000 worth of food, discounted venues, and an auction fundraiser to which over 30 Wairarapa creatives donated. “It was mind-blowing – we were so overwhelmed by the love of our community,” Malo said. 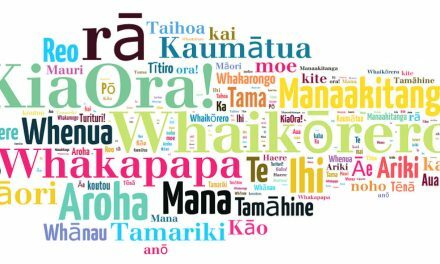 Terri-Lee lived all her life in Masterton, where she was widely-known and loved within the Māori community, Malo said. 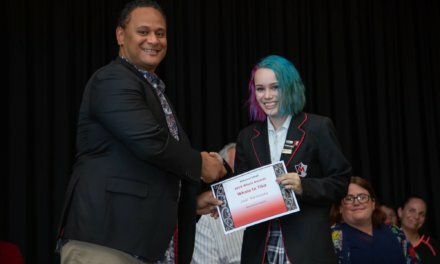 She was heavily involved with Te Kohanga Reo o Ngati Hamua and Te Kura Kaupapa Māori o Wairarapa, which her children attended, helping out with their waka ama, kapa haka, and junior darts teams. She was also a member of the adult kapa haka team Te Rangiura o Wairarapa. In 2011, Terri-Lee was diagnosed with breast cancer – but was “given the all clear” a year later. Relief was short-lived, however, as the cancer eventually spread to her liver. It was then, not knowing how much time she had left, that she began making plans for her and Joe’s arguably overdue wedding. “Her and Joe had been together since forever – they were high school sweethearts,” Malo said. The family began saving for a tropical wedding and, in April, her cousins flew her to Rarotonga to scope out wedding venues. When they returned to Wairarapa, she and her family received the grim news – Terri-Lee’s cancer was terminal. With a home-grown wedding on the cards, the planning committee sprang into action, organising raffles and contacting businesses for possible sponsorship. And it didn’t take long for support to start flooding in. “We sent letters out to the businesses we thought could be helpful. “One day, Pak n’ Save in Masterton rung us and said they’d give us a food voucher. I thought, ‘oh yeah, they’ll give us $50’. But the voucher they gave us paid for most of the food. Several other major players in Wairarapa offered donations, including Premier Bacon, Juken New Zealand, Breadcraft, and Trust House. The bulk of the wedding expenses were paid through funds raised by an art auction held at creative hub Te Patukituki o Wairarapa on Queen St. 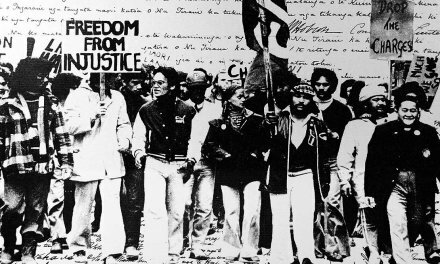 Prominent Wairarapa players in the Māori art world donated their work for auction – Rongomaiaia Te Whaiti, Jenny Katene-Morgan, Maxine Hemi, Kiri Riwai-Couch Photography, Sam Ludden, and painter and Maori Party co-leader Marama Fox, to name a few. Terri-Lee and Joe’s wedding went off without a hitch. 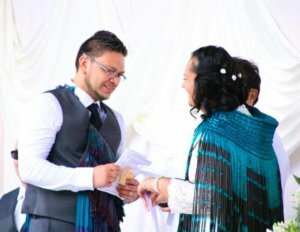 The ceremony was held at Te Kura Kaupapa Māori o Wairarapa, followed by a reception at the Gladstone Sports Complex – the venue provided with a generous discount. Terri-Lee looked radiant in an off-white dress with a beaded lace overlay, and her hair in soft curls. “She wasn’t a super girly-girl, so it took her a while to pick a dress. But she did well; she looked beautiful. 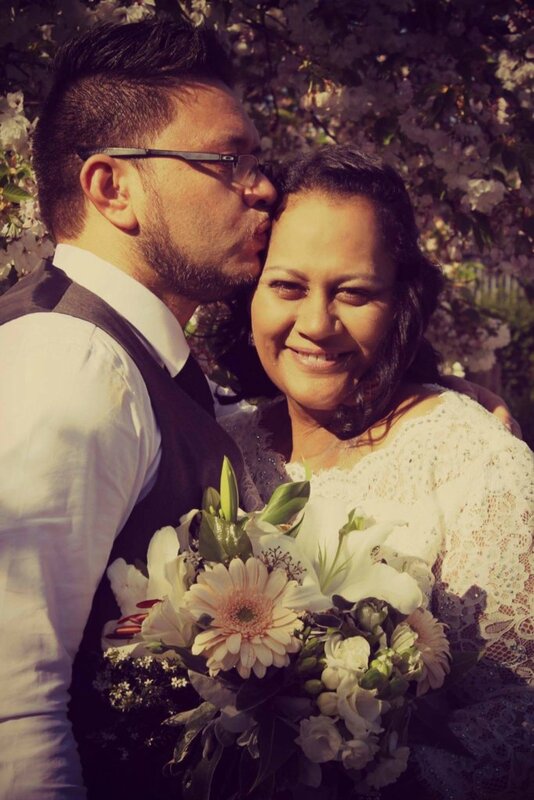 Ever the giver, Terri-Lee offered to help her whanau clean up the venue after the reception – but Malo was having none of it, giving her and Joe the keys to a room at Gladstone Lodge, where they spent their first night as newlyweds. “It was a beautiful day – so much love coming from everywhere. Sadly, barely a week after her big day, Terri-Lee’s health deteriorated rapidly, and her family were told to prepare for the end. “I think she was hanging on for her wedding day,” Malo said. Aunt Makuini Kerehi said she was happy Terri-Lee’s family have the fond memories of the wedding to sustain them in the weeks ahead. Makuini said Terri-Lee died “peacefully” at her home, with husband Joe and children Desharna, Frances and Hinemaia at her side. The family also wanted to thank Mary and her palliative nursing team, who cared for Terri-Lee in her final days.